Today,We put together a list of the 15 more commonly used terms to know when discussing plastic injection molding, mold parts, machinery, materials, and problems. We hope you find this to be a useful resource. various cavities for different parts. They tend to produce inferior products and have more downtime due to maintenance issues. Sometimes known as burrs, flash is the occurrence of thin, wafer-like protrusions on a finished part caused when melted resin escapes the mold cavity. Most common along the parting line or an ejector pin, flash can be caused by excessive injection speed or pressure, in which case the fix is a simple reduction. More often flash is due to poorly designed or severely degraded molds, in which case a redesign or retooling is required. Flash can also be caused by too high of a mold temperature and excessive barrel heat. resulting in higher quality parts. The machinery required for the all-electric process is more expensive than the hydraulic process. press for your application, consider the following key variables such as material choice, size of the part and press rating. 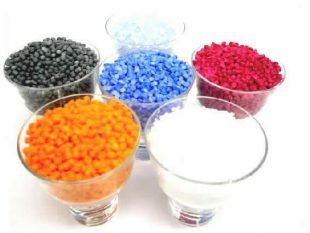 0 responses on "15 Terms About Plastic Injection Molding Industry You Should Know"